Note: for the remainder of the walk-through, it is assumed that the LEAD Sample External Store add-in has been configured, and is being used. However, you can use one or more of the other external store add-ins. 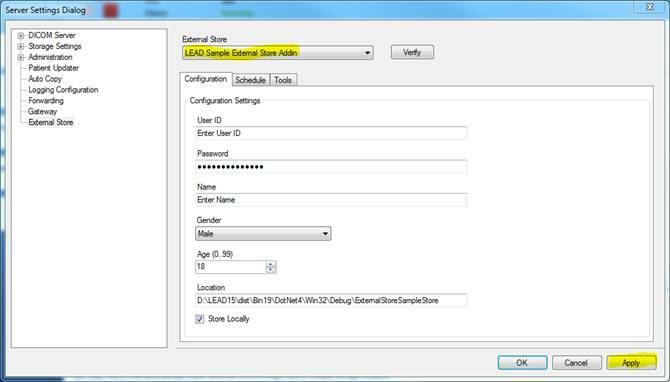 Start the CSStorageServerManagerDemo.exe and login. Click the Search button to display all images in the database. 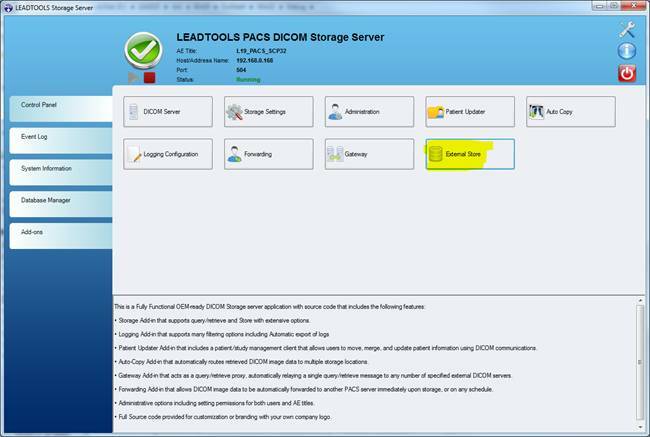 If you are running this for the first time, you should see two instances in the database (Patient ID 123431224) If you do not have these instances, you can import them by clicking the Add Dicom button (green plus). Note that there are 2 datasets that are stored in the local database that can be sent to the cloud storage. 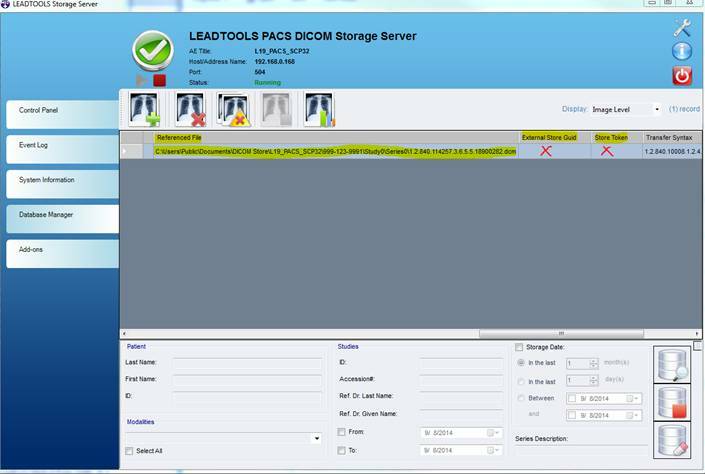 This is because there are two DICOM datasets stored on the server, and these two datasets are stored locally. They do not yet exist on the LEAD External Cloud Storage. You can see where the datasets exist locally by viewing the Database Manager. Close this tab, and open the Database Manager and click the search button. 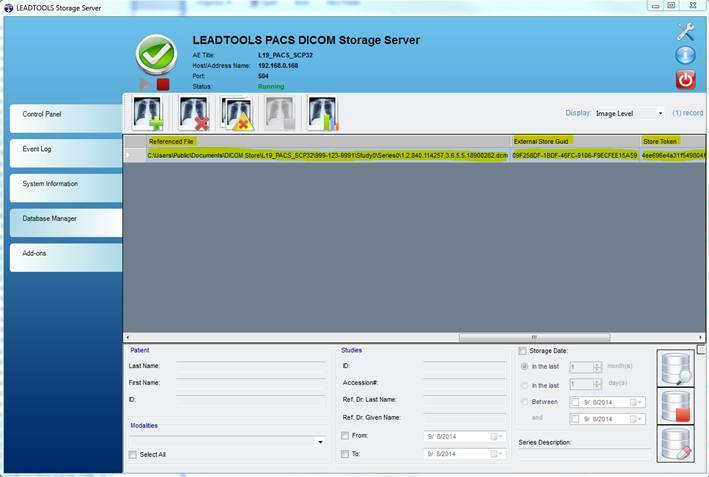 The location where DICOM datasets are stored locally. For the Storage Server Azure Cloud Storage addin, the external store is the Azure Cloud. Click the Database Manager tab and click the search button. 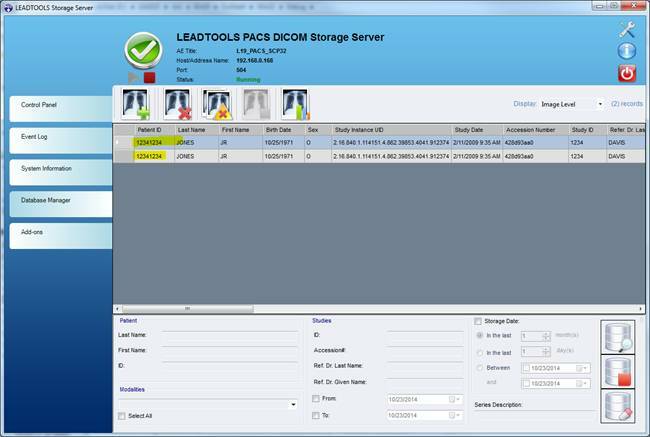 The following shows a DICOM dataset that is in the local store, but not the external store. 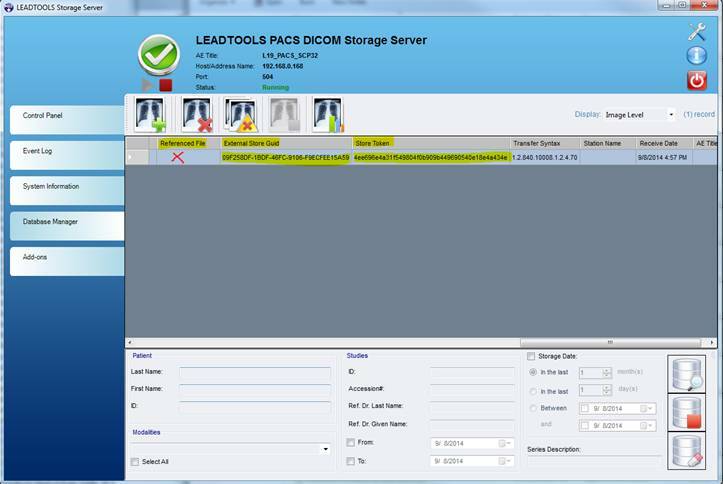 The following shows a DICOM dataset that is in the local store and in the external store. In the CSStorageManagerServer.exe, click the Database Manager tab, and then and click the Search button. 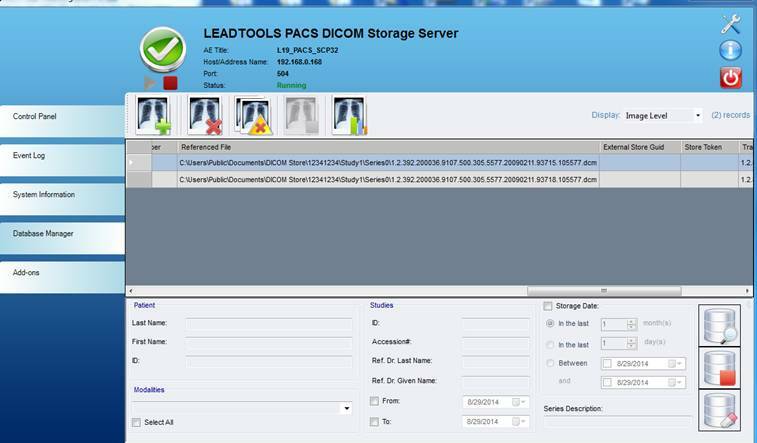 On the database manager screen, you can see there are two datasets and they are stored locally. We know there is a local copy because as described above, the Referenced File column shows the location of the local copy. 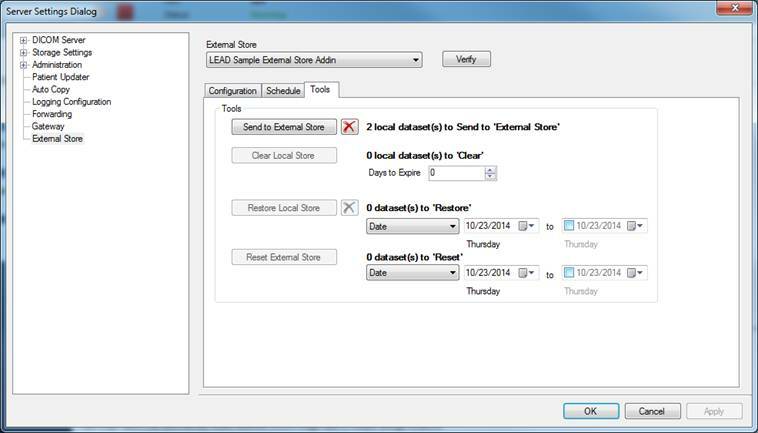 There is NOT a copy in the cloud, because the External Store Guid and the Store Token are both empty. Once the datasets have been copied to the cloud, the External Store Guid and the Store Token will contain valid values. There are four buttons to manually control the local store/external store relationship. Local copies are not marked to be cleared, until the Hold Time has passed.